Brace yourself.. this could be a long one. I know many people that hate New Year for a variety of reasons, I have never really been one of those. I look at it as a time of year to reflect on the year that's past, the highs, the lows and the future so that's what today's post is going to be. I'm not going to lie, this year started off rocky personally for me. This was due to reasons totally unknown to me and I still cannot explain. I will always remain true to my feelings and not fluff things up for the blog as it would not be a true reflection of me. In the future I may post a random blog post on it to help anyone who is feeling lost but for now I don't want to dwell on it. 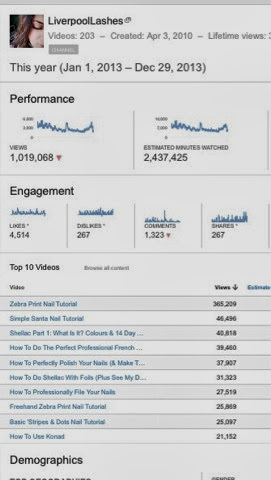 That aside I had some amazing highs, my You Tube channel continued to grow with thousands more subscribers and tens of thousands of views of my little videos. Honestly you will never know how happy it makes me that people come to see what I have put together. I think people would assume that You Tubers forget the individual viewers but without you all I would just be some weirdo with a camera. It blows my mind to think that something I do can be accessed all over the world, reaching far away lands. I also made the decision in June to start my daily blog. This blog itself was created in February 2012, although I made a few blog posts I could never get past the feeling that I was talking to myself and no one was reading it. Some days I still have that feeling but then I look at the views to remind me that I can see that there are definitely people reading each post. Blogging each day has also linked me with other bloggers on Twitter and I now feel a definitely part of a community. 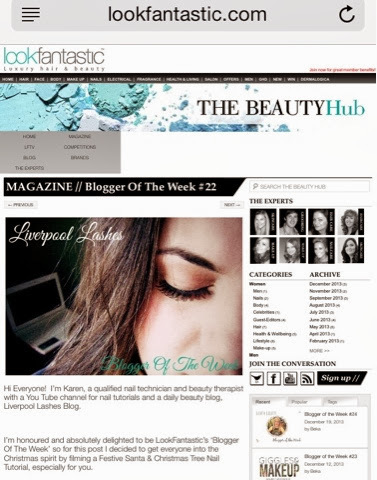 A particular highlight of mine was to be contacted by LookFantastic.com to be part of their reviewing team. I have used their website for a long time so was delighted that they found my little space on the web. They also invited me to their #midsummermeet which was a nerve wracking experience but I buzzed about it for a really long time afterwards in a really uncool fashion. To top it off at the start of this month I was their Blogger Of The Week on their site. Another great honour was to be contacted by Julia, an ambassador of CND to thank me for my great video on the latest Shellac range. 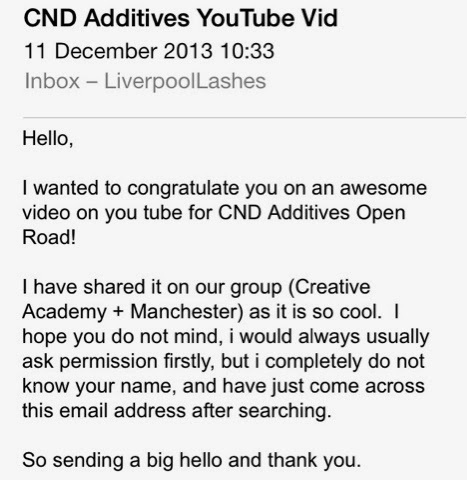 This email truly blew me away, I never expected that anyone from CND would ever come across a video of mine. She also mentioned that if I was ever over in Manchester that she would love to arrange a meeting with me. I simply cannot put into words what it feels like to be contacted by such a large, successful company. My business as a nail technician and beauty therapist continued to grow immensely this year. My appointment book is busier than ever and my job is still something I thoroughly enjoy. Apart from not having the same constant set of colleagues like I've had in previous job roles, I'd say that what I do is literally the dream job for me. With it has also brought me many new friendships that continue to blossom. In 2014 I look forward to qualifying as a hairdresser in June and continuing to watch my appointment book get even fuller. I will always allow time for both my blog and You Tube channels, along with continuing to answer emails from subscribers, tweets and any other way I can interact with others. If you don't follow me on Twitter or Instagram then please do, it's my favourite way to chat to everyone. I'll finish with this, I hope that your year has been a good one. If it hasn't been the best then please try to stay positive because everything will be okay in the end, if it's not okay, it's not the end. Worrying wastes valuable time that you could have spent being happy, I wish I could have told myself this this time last year. You truly can live your dreams, if you believe you can't then the only person holding you back is yourself. I wish you all a brilliant start to 2014. I hope that you all continue to join me on this journey and I hope that if we haven't had the chance to become friends yet that we will this year. The assistant matched me to two colour shades, telling me that I was in between so I decided to go for the lighter option, reasoning that I can always warm it up a little. 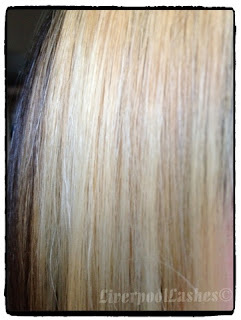 This shade turned out to be their lightest colour, 10 Ivory Light. I love the packaging and it truly feels sleek and sophisticated. This foundation has a pump so it's easy to get the same amount each time and exactly what you'd expect for the price tag. The consistancy is smooth, glides right onto the skin, blending easily. 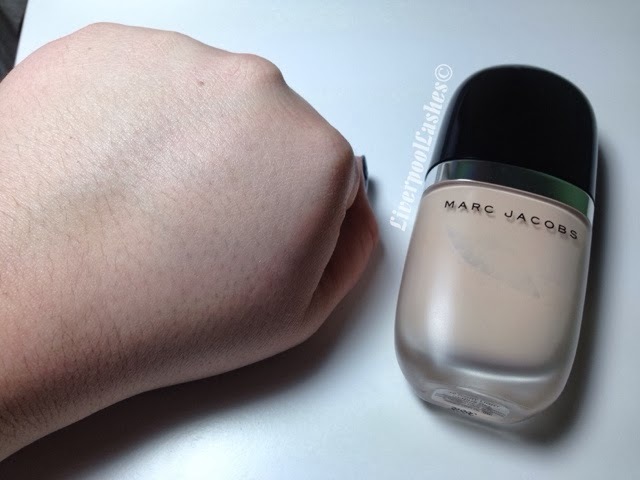 Due to my oily/combination skin I do find that foundations don't last on me an incredibly long length of time but the Genius Gel stayed in place longer than most other foundations that I have tried which speaks volumes. I also felt like I didn't really need to powder, like it was built into the product and it has a medium coverage as I do need a little concealer as well. On my skin it felt lightweight and seemed to make it appear alot smoother than it really is which blew me away. 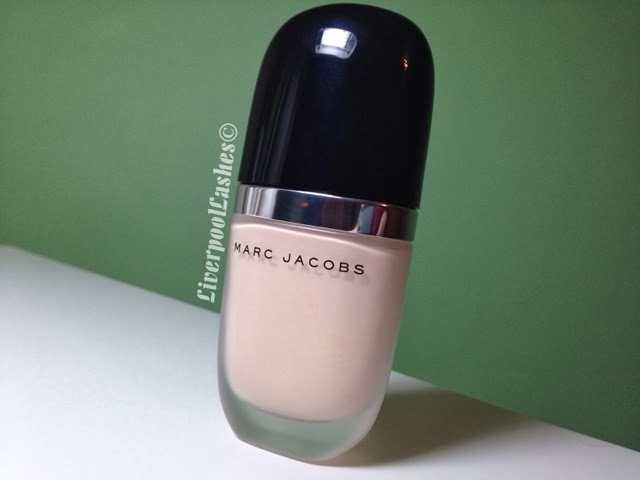 My only regret is that I didn't consider the darker of the two shades that the assistant matched me to as this is extremely pale so I cannot wear it anywhere near the summertime. The bottom line is... 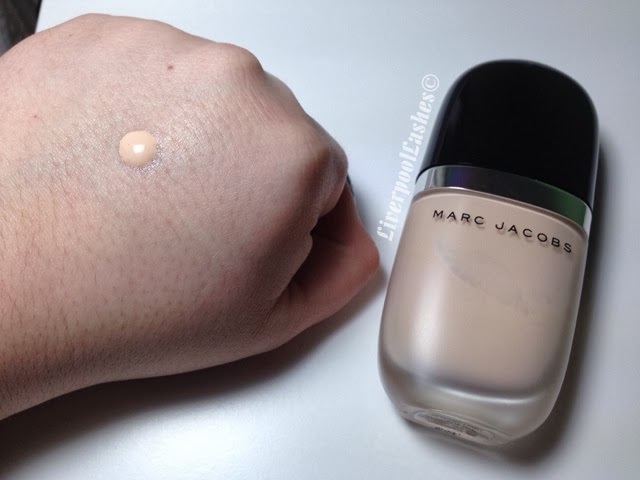 I realise this foundation is only currently sold in Sephora stores and therefore it not currently available in the UK but if I had the chance to purchase another in a darker skintone I would. If you are near a Sephora store I would definitely recommend trying it out as it lives up to the name - it's genius! I feel like this blog post couldn't be more straight forward and super basic but after watching an empties video I was inspired to still blog about it. The girl in the video showed a product with a little less product in it than the one I have here but regardless you can still do the same thing I do with far less than even she had. With my method you can turn this..
.. into this and have more than a week's worth of product to use up. I don't want to call it a tutorial as it's far from that but I have linked the video here where I show you what I do. 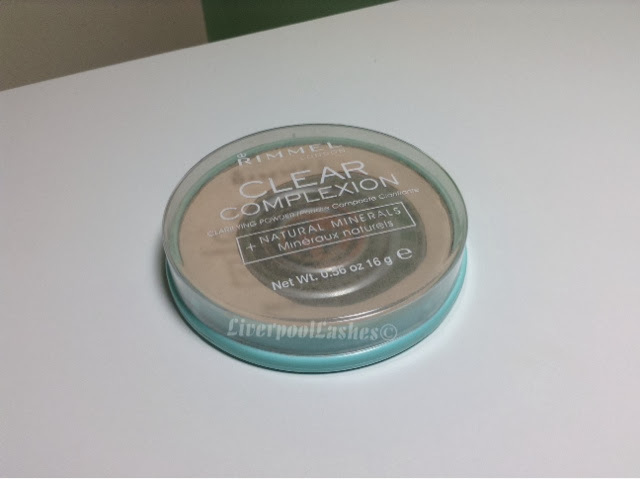 I always do this and for some reason with this particular Rimmel powder I actually prefer it loose! I've done this with Nars Laguna on many occasions too when it's only had milimetres left around the edges!! I hope you find it useful, I must admit I get a bit of a weird kick out of it. 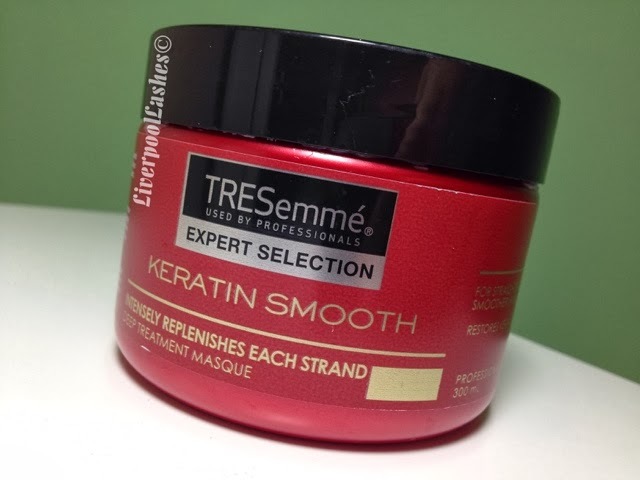 My quest for good condition hair continues so I decided to try the TRESemme Expert Selection Keratin Smooth Deep Treatment Masque to see if it helped. My hair has improved so much in the past two months that it is almost unbelievable but I still want to try out new products to help me reach my goals. Firstly the scent is gorgeous, nothing specific that I can pinpoint but just that "salon type" scent. I used this straight after shampooing once a week. 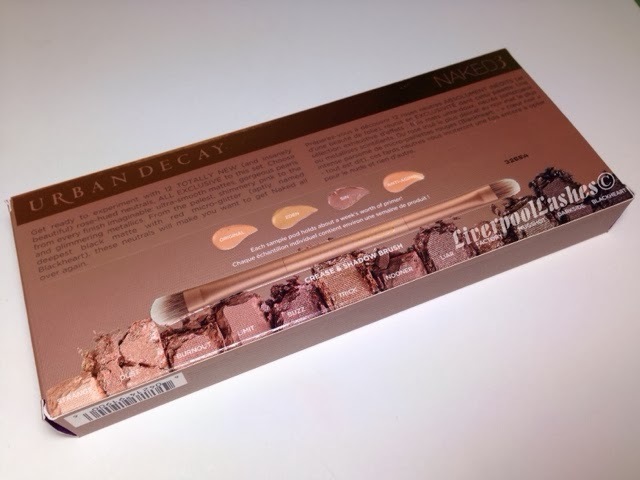 The packaging says that it's recommended for once a week or as needed but I don't like to use products too frequently as I feel like they then build up. 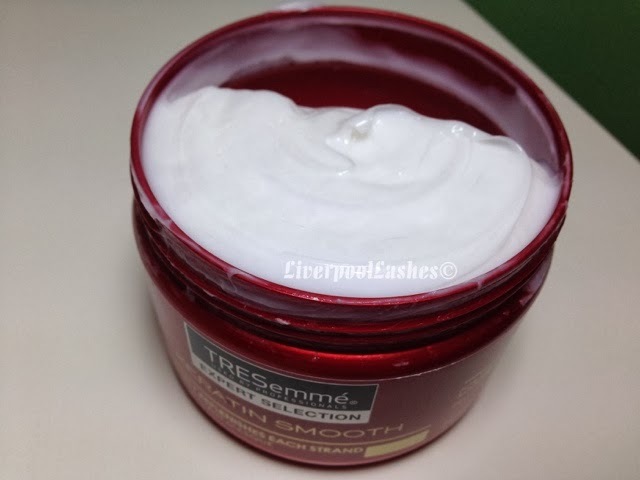 The masque is of a medium consistency which reminds me of those amazing conditioners that you get with a home hair colour and it rinses easily leaving your hair silky soft. When I applied it, I left it on for a couple of minutes whilst I washed and shaved my legs etc which I think is long enough for it to work its magic. The bottom line is... I adore this hair masque. It's a brilliant treat for my hair and I truly feel like it's helping restore my hair after years of overuse with my straighteners. Best of all I bought it half price so there may be simular deals on it if you're interested in it. To me, at this sort of price it's worth a shot - even if it's just to boost your hair's condition for a special occasion! I always feel like sharing your Christmas and birthday presents are a little awkward. There will always be people that get more and people that get less but this is a fact of life. I see these type of posts as a great way to think of gift ideas or maybe even good treats for yourself. Honestly I thoroughly acknowledge I was spoilt from a lot of people this year. It was to the point where as I felt a little emotional that I mean something to so many different people. Rather than me taking a million photos for you to scroll through I have made this post into a video to show you each gift which is here. I really hope that it's not too shakey as it was filmed on my new iPad Mini which I absolutely adore already. I hope that you enjoy watching! Very late Christmas Eve / early hours of Christmas morning I finally found that I had a tiny bit of free time to do my own nails. At this point I just wanted to apply something I liked but not too "Christmassy" as I knew it was going to last far beyond the day. I decided on Shellac Rock Royalty on all nails apart from the ring finger that I applied Silver Chrome to and then Silver Starburst Foils. On top of a Rock Royalty I added Ice Vapor to each nail to add the extra special touch that I was after and voila! I adore this combination of the purple and the silver. Dribblesome! 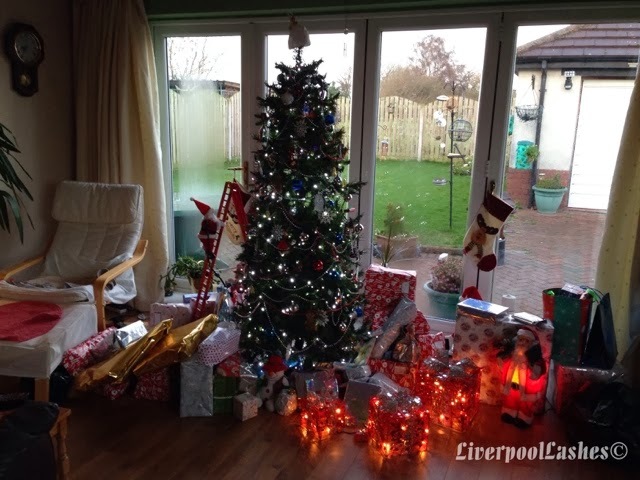 Today I wanted to do a special blog post as it is Christmas Day. To those who celebrate it, happy Christmas and for those who don't I hope you're having a wonderful Wednesday. Let me start by showing you these nails that I did a few days ago. 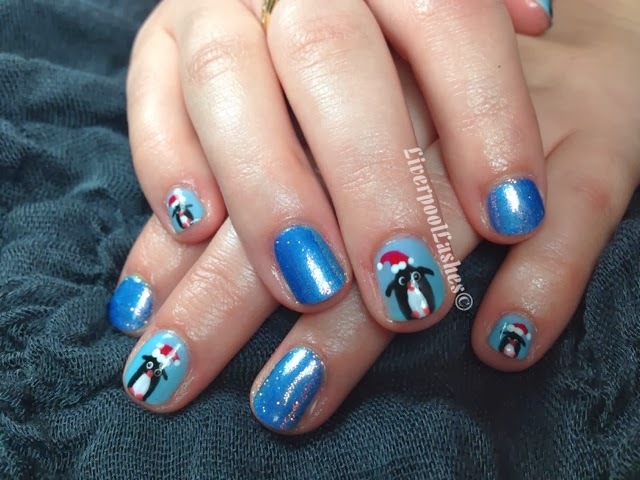 Ali loves penguins and had booked her Christmas appointment with me so I played around and came up with this penguin with a cute little Santa hat. For these nails the main colours that I used Shellac in Water Park and Azure Wish. On top of Water Park I applied a white AB glitter. 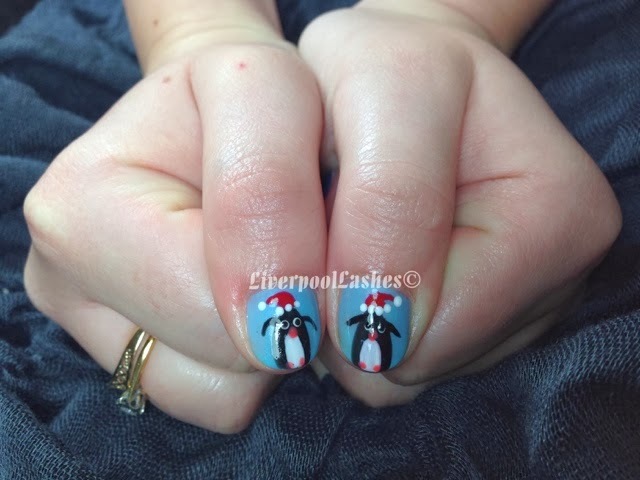 Ali's little finger is truly tiny but I still managed to get a baby penguin on each one. Now I wanted to do something a bit different for Christmas Day so I thought I'd chat a little about my family traditions. Firstly we always open our presents in pyjamas. Although I no longer live with my parents, I will go as far as getting ready in the morning and then put on a fresh pair of pyjamas to head over to my parents house in. 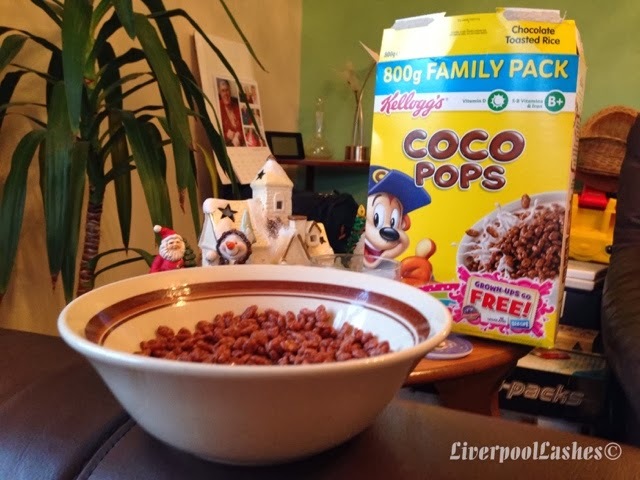 Coco Pops are always available at their house for breakfast. This is because when I was little my folks didn't have much money so since cereal was expensive, Coco Pops were a treat reserved only for Christmas Day. This is also the same for Coca Cola. We have "table presents" which is just a little something that sits next to our cracker at each place setting at the table. This is normally a gift specifically for the person, chosen by my Mum. 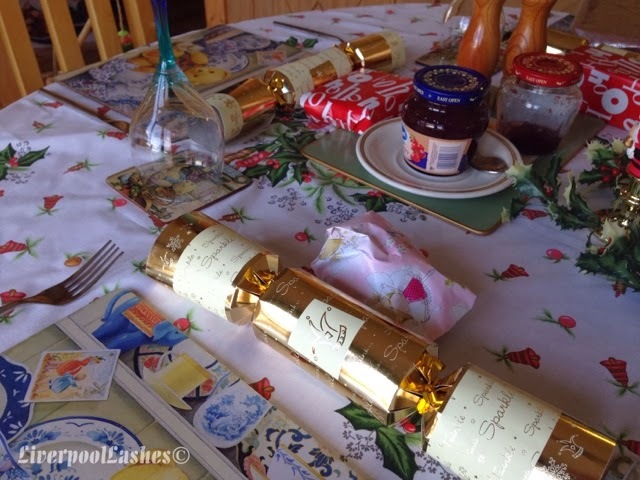 When my Nanna was alive she would always provide my Mum's table present. Also you were only allowed to open the present if you finished your dinner! Sadly my Nanna passed away on Christmas Day 2009 so we always have a champagne toast to her each Christmas Day. 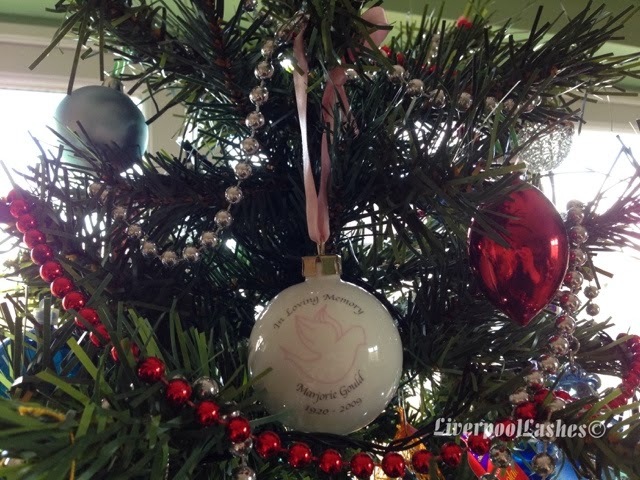 She is also remembered on my Mum's Christmas tree by a bauble I had made especially that sits pride of place at the top. One the day we always have a proper dinner at lunchtime and then a "party tea" at dinnertime. A party tea consists of sausage rolls, sandwiches and things like that. After the party tea we will often sit and watch the Christmas specials on television or play games. The games that we play are generally things like Trivial Pursuit which my Dad generally wins hands down. Mum will try and get us to play Cluedo with her as she always moans "no one else wants to play Cluedo with me..." But a few years ago we did and it got completely messed up as she had forgotten the rules. Boxing Day is pretty much the same as Christmas Day but a bit more relaxed and without the gallons of presents. What I decided to do a few years back with my husband is to hold three good presents back to exchange on Boxing Day. The reason for this is so that you have time to digest everything you have and something to look forward to the following day too. I hope you've enjoyed reading this blog post. I've really enjoyed sharing this special post with you and shall come back later today or tomorrow and fill this in with some photos to show each event. Yesterday I had the pleasure of the company of Leanne from OCDblog. Leanne was a Shellac virgin so I was really excited to see what she thought. 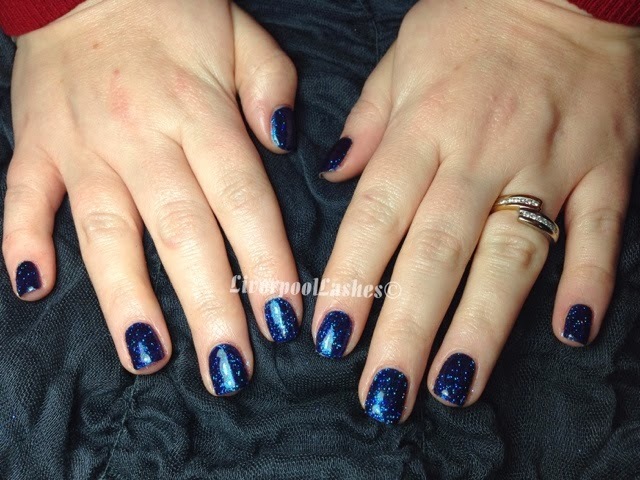 She picked Shellac Midnight Swim with Irresistible Glitter in "Candy Pink" which makes this amazing shade. 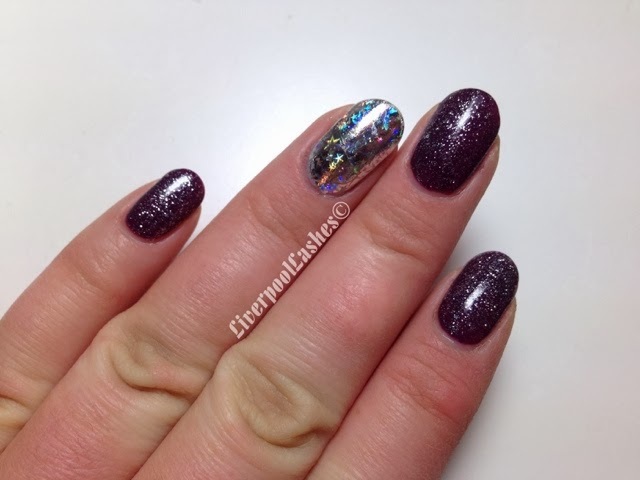 It's crazy that a pink glitter is on her nails but in person it gives a really sparkly finish with both dark and light blue tones. 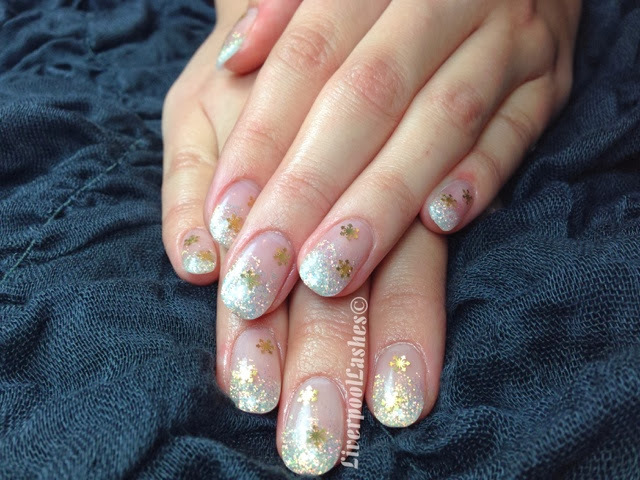 I adore the finish, someone said it looked like twinkling stars but more importantly - Leanne seems happy with them. Smiles all around! 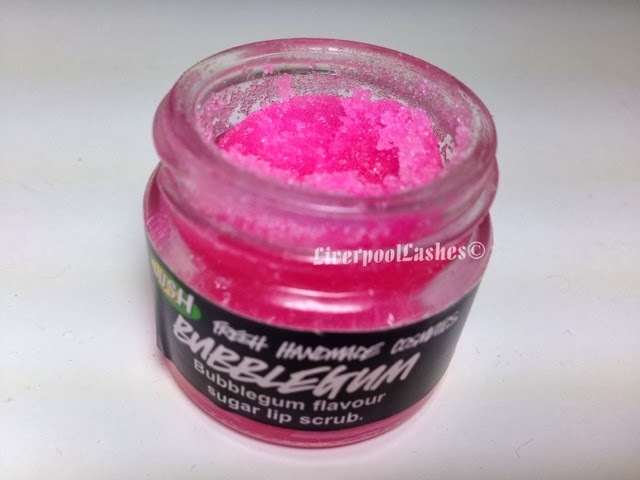 When I was in my teens I bought a lip scrub from Boots in the shape of a lipstick that scrubbed your lips as you applied it. It was like a balm which had little beads in it. 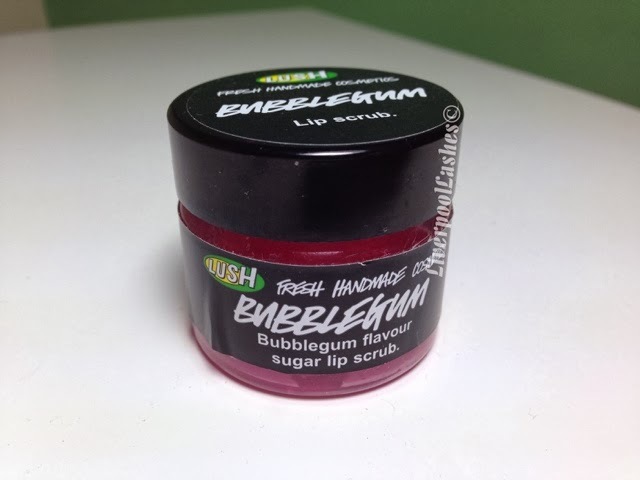 That brand has since evaporated so I hunted high and low for the same thing but couldn't find it and that's when I decided to try out Lush's Bubblegum Sugar Lip Scrub. At £5.50 for this dinky little pot, I'm on the fence as to whether the price is worth it since after all, it is mainly sugar. The scent is fabulous and although I've had this pot for quite a long time it's not faded or changed at all. 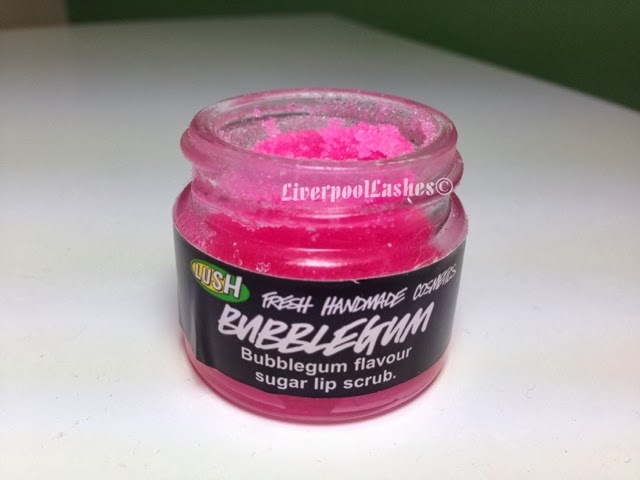 I find that as the sugar doesn't stick to your lips on its own, the easiest way to apply is by using a lip balm and patting the scrub on top. This makes it less messy by far and you can really work it into the skin. A bonus point is that it tastes just as it smells. The bottom line is... I think this is a great product. You could almost certainly make something similar yourself but that would be less fun than treating yourself to this little glass pot. I think personally it would be a great idea to buy a pot between you and your friend or something as I've barely made a dent in this one, considering the amount of times I've used it. If you're a regular lipstick wearer I'd say it's an essential step before application for the perfect result. I love the fact that typically my clients have a very similar taste in nails as me. As I get to know them I almost find that I can predict what they will like or choose. I ordered in two packs of 10x gold snowflake charms to see what they were like and to my delight they were as small as I had hoped. I had a vision of these nails, exactly like this and when I explained it to Rachael she was very excited for it and thankfully she loved the end result. I used white AB glitter which I purchased a while ago. I believe the Stargazer White Glitter is a very similar shade. I just pulled the acrylic mix up from the tip and embedded the snowflakes into the acrylic mix so that they are suspended in it, just like they're falling. If you've been a reader of my blog for a while then you'll know that since I started my hairdressing course I've been really keen to get my hair into a good condition. I have a blog post here all about what I've been doing and little hints and tips. I've recently learnt a few things about DIY semi permanent hair colour so I wanted to share them with you as I figured most people have some sort of colour on their hair. A small history of my hair colour... naturally I have a medium brown shade with a slight red tone. I have had my hair postbox red, chunks of blond in all different tones. 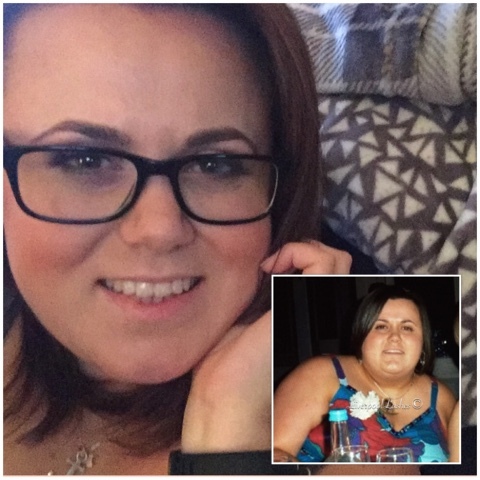 For the lead up to my wedding I grew all of the colour out and had my hair my natural shade. As this took so long I didn't want to ruin my hard work so I kept my hair this colour for a while but then the boredom set in so I got a huge chunk blonde underneath my part on one side - pictured above and below. After a while I got bored of this so currently I have the L'Oreal Casting Creme Gloss on my hair in Cherry Red or Berry Red (I used to flit between the two) I did this as they claim to last up to 28 washes so I liked that after this time it would be gone and my hair would be back to normal. Now when I say 'currently' I mean that I haven't coloured it in months now but here is where I get to the whole point of the blog post... I've found out something pretty important about the semi permanent colours. Another point is that there's another lady on my course that does the same thing with her long brown hair and the tutor pointed out that the tips of her hair are a lot darker than the roots. When we picked up her pony and put the two together there's a huge difference this is because the older hair at the ends has been coloured over and over again. So she is also in the same position as me with the options she has available to her. If you were to visit a salon, certain colour corrections can be expensive so I wanted to put this knowledge out there just incase you do the same. Just to add... I realise I can keep colouring over my now permanent shade but the whole point of me choosing semi permanent is so that I could go back to my natural shade within a certain amount of washes. I hope you've found this helpful. I appreciate it's one of my more random topics but I run this blog true to me, who I am and my thoughts. As I didn't know that you could turn something temporary into permanent I figured you might not know either! 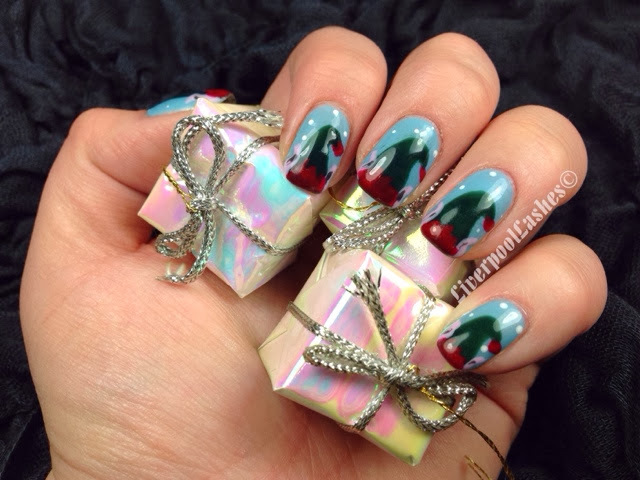 Today I wanted to share with you one of my favourite 'low key' Christmas nail designs, my Cute Christmas Tree Nail Tutorial. For the past few days I've started doing nails for my clients for Christmas Day. There are a lot of people that just want to keep it festive without going over the top so I think this one is perfect. 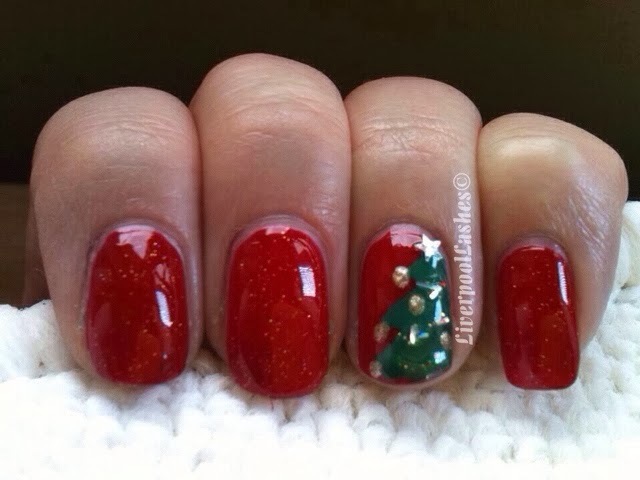 I feel like you can add a little more with presents on the other nails or even turning the background of the tree into a window and have the other nails a dark blue with stars to look like stars. Have fun! If you try any of my tutorials please tweet me a photo! This review is going to be pretty snappy. 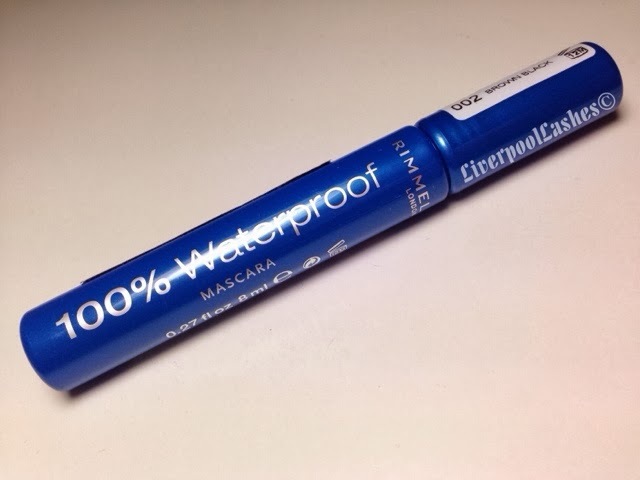 I saw a mascara in a pretty naff packaging but impulse purchased it from Superdrug, convinced I could find an amazing budget product. I instagrammed a photo of the mascara, Rimmel 100% Waterproof Mascara and someone told me they thought it looked cheap but I remained convinced that it could be an undiscovered nugget of gold. I tried it and I literally feel like it did one thing, changing my lashes to brown/black. I couldn't see any major change to length or volume despite my continual combing of them with the wand. I should have smelt a rat in the store when I realised I'd never seen it in Boots (they definitely don't stock it online) and it's never been talked about on You Tube etc. 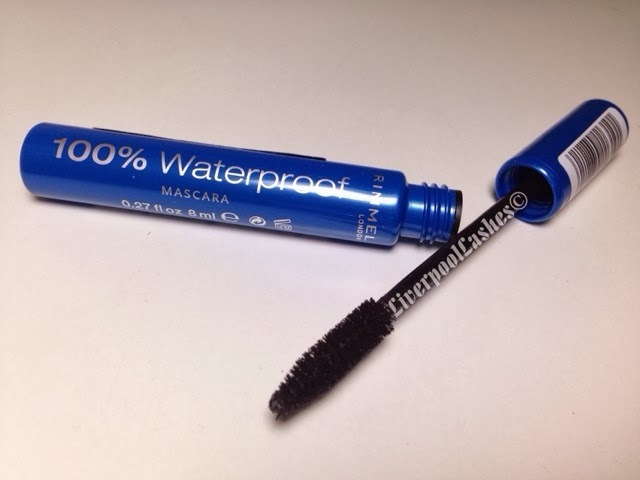 The bottom line is if you literally want to give your lashes a black coat then go for this. Be warned that as it's waterproof it's difficult to remove. In fact I'd probably just tell you to give it a miss, let's call a spade a spade here - it's absolute pants. Picture the scene, I'm there at the front of the queue at a very busy Superdrug and the assistant is telling me their 3 for 2 is only for three of the same brand. I had two choices, forfeit my free one or go and find another Rimmel product to get 'free' * I can hear my Dad saying to me 'nothing is ever free Karen' as I type* and rejoin the queue. I choose the latter, a true beauty junkie will not give up the opportunity to get another bit of make up. 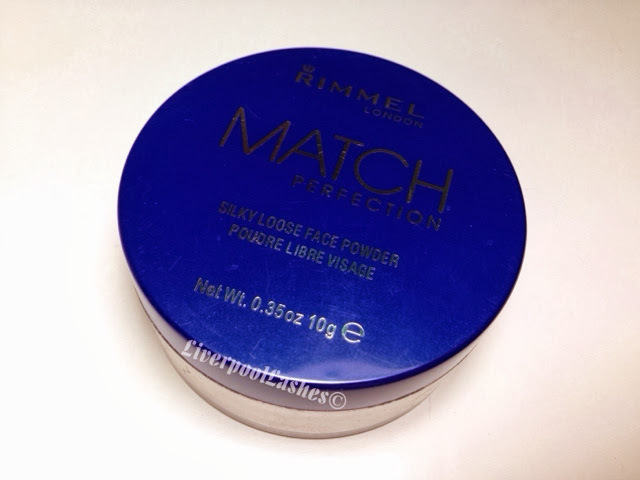 I picked up the Rimmel Match Perfection Silky Loose Powder to give it a try. 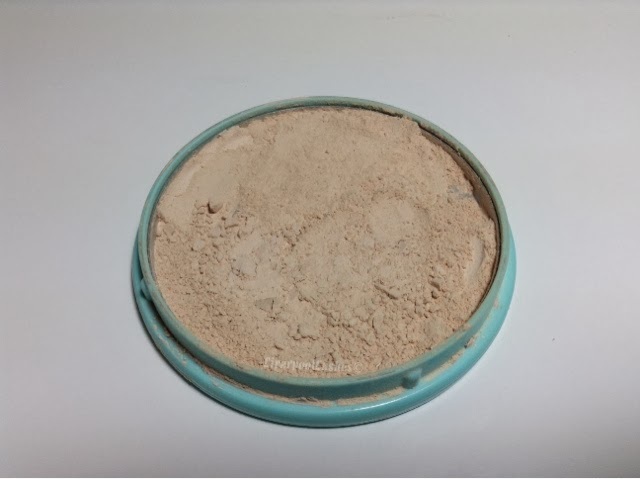 I sometimes don't know where my brain links things but because the packaging is shaped like the MAC Prep & Prime Transparent Finishing Powder I figured it might be a budget alternative. I love the MAC version as it sets my make up and smoothes out minor imperfections. That aside the powder is silky smooth and glides onto the skin. It doesn't leave the skin looking overly matte and has matched my natural skintone as well as when I've had a spray tan. I typically use it under my eyes and down the my T zone to take away the shine. Honestly if you're after a long lasting matte finish then I'd probably say this isn't for you as I find that the texture it leaves doesn't last that long, a couple of hours at best. The bottom line is... 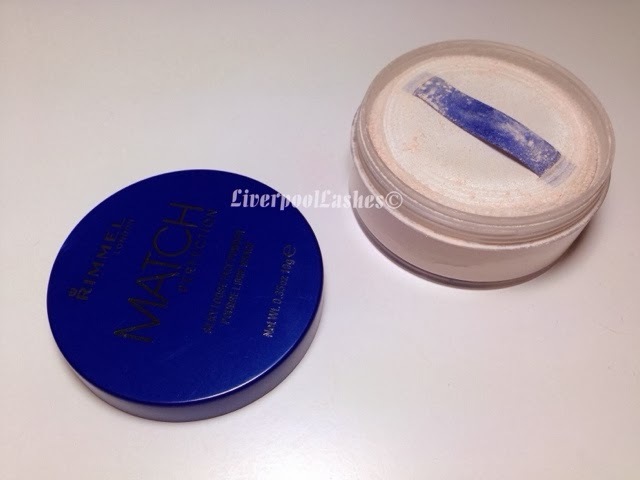 I believe that the Rimmel Match Perfection Silky Loose Powder is a great setting powder for someone after more of a glowy look and perfect for summer when you want the lightest of products it's virtually weightless on the skin. Admittedly if I had to pick a favourite month for beauty boxes it would be December, hands down. 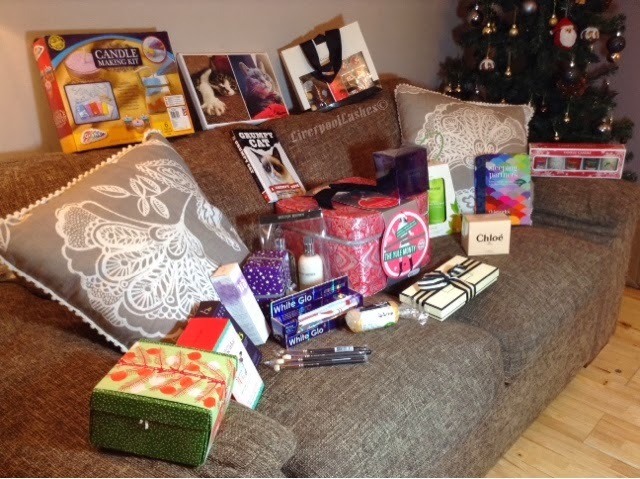 All of the companies I've been subscribed to over the years have always pulled out all the stops for their Christmas box and the December 2013 Glossybox is no exception. The packaging is gorgeous and super festive with the candy cane tissue paper and green wiggly things for the products to sit on. The best part is the box is CRAMMED with good stuff worth way beyond the Glossybox subscription price. I have filmed a video to show you the products in more depth and my thoughts, click here to watch it. Share 12 random facts about yourself. Tag 12 bloggers to do the tag, It can be anyone you like. Let the bloggers know you tagged them. I have two cats called Poppy & Henry. I'm obsessed with white furniture. I like to sing.. a lot. I want to visit every US state at some point, so far I've done 6. I once went onto the ferry to Dublin with a boyfriend by the time it arrived we had to wait the 45 minutes and get back on as it was the last one of the day. Ridiculous but true. I don't like Harry Potter. My favourite sweets are always the green ones as I love lime. I have been to the Maldives - amazing but absolutely nothing to do. I probably own around 50 perfumes. What are you favourite things about winter? Being cosy whilst the weather is mental outside. Leggings, some sort of jumper dress and boots. Something like Lasagne or Cumberland pie. I don't like tea or coffee so I'd say hot chocolate or a chicken cup a soup. What is your dream way to spend a winters day? Snowing outside, on the sofa with a blanket watching Christmas films. How do you like to do your make up in the winter? I wear my make up for how I feel for the day. Generally it's something dramatic and a sheer lip gloss or neutral and a bright red lip. Well I already know Santa has gotten me a Mini Ipad so everything else is a bonus. Candles, Blankets and hot food. Probably when I was little and we would get up really early to play in the snow before school. One time the snow had started while I was asleep and my Dad knew it would be gone by the time I was awake so he got some and put it in our freezer because he's cute like that. I don't have a winter specific scent. For everyone to be happy. 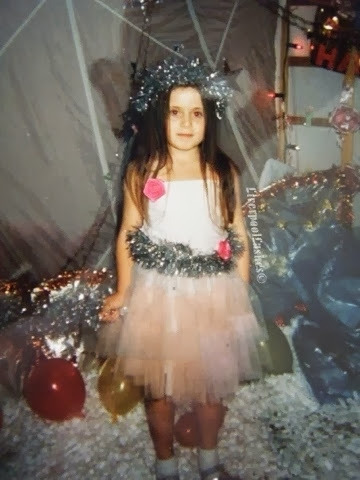 The photo at the top is me when I was 6 dressed as a fairy in Santa's Grotto. Officially I'm meant to tag 12 people but since I know loads of bloggers I don't want to miss out anyone so just do it if you fancy it! Thanks to Melody for tagging me! I was in the mood to change up my nails and spent far too much time cooking up a design that I decided to make it a nail tutorial as well. I liked the idea of cute little pointy Elf ears so I went for it. Well it's arrived at LL HQ (AKA "my house" !) 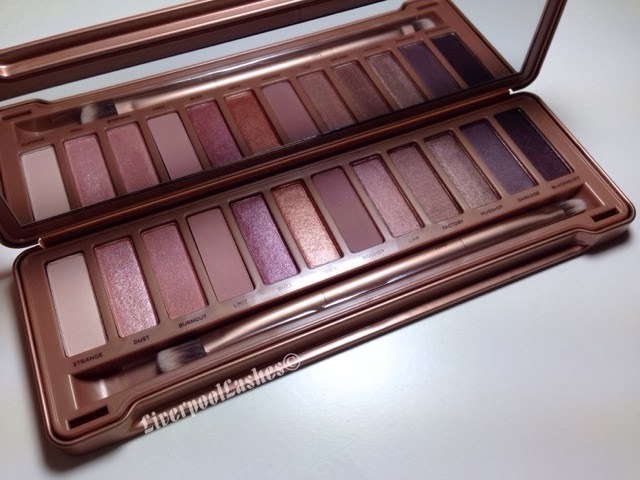 finally I have my mitts on the Naked 3 palette and I have to admit I was trying not to shake with excitement unboxing it. The box is sturdy and just completely seduced me. I always think it's funny to talk about packaging this way but this one really need excite me with the smashed shadows across the front. 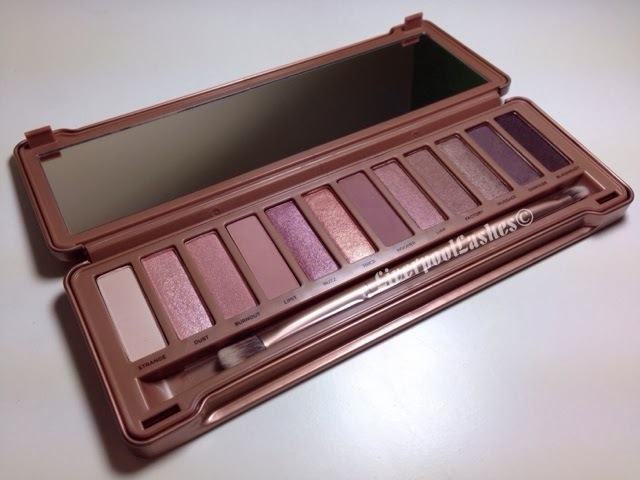 The back of the box tells you about the rose gold hue that the shadows contain and that all twelve shades are new and exclusive to the palette. 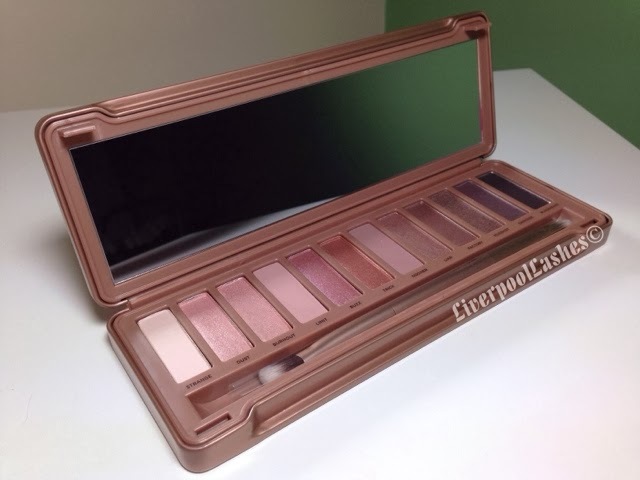 In one way I like this as I don't like that Half Baked appears in both Naked 1 and 2 and another one of their palettes that I have, especially as I don't like the shade...! The reason why I don't like this idea however is if I run out of a shade, I can't just buy a singular version of it to carry on my favourite looks. Here's the inner packaging, I'm sure you'll have all seen this a million times but I had to put my thoughts up on it - for what it's worth. 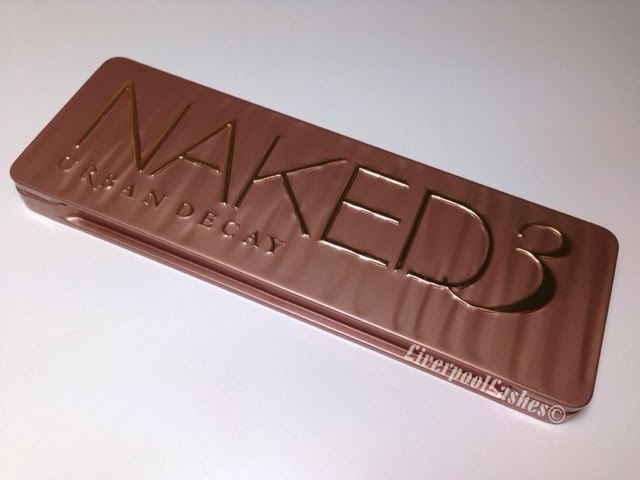 I like this style of tin, it's a lot sturdier which is great because although I'm very careful, my Naked 1 palette mirror was smashed whilst travelling as it was only cardboard. My eye is drawn to one colour each time I open it. "Buzz" is such a beauty and the epitome of a "rose gold hue" to me. So from left to right, lets start with the first four... Strange is the pink version of Foxy from Naked 2 which is a yellow toned matte. 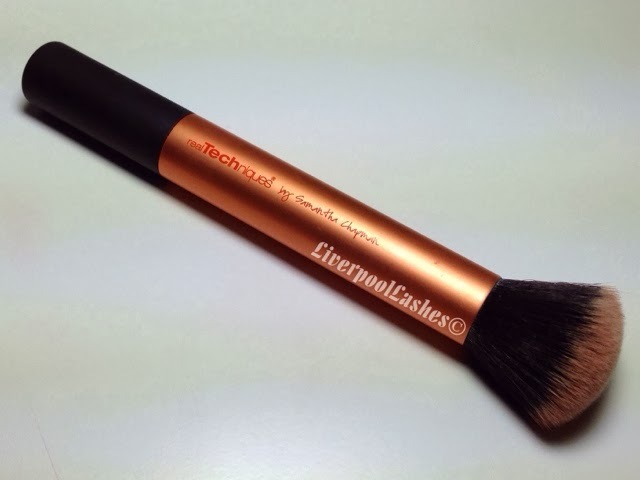 I use Foxy religiously to apply to the brow bone and help blend my eyeshadow out. Strange will be a constantly used shadow for sure. Dust looks gorgeous in the pan and OK in a swatch but it lives up to its name. 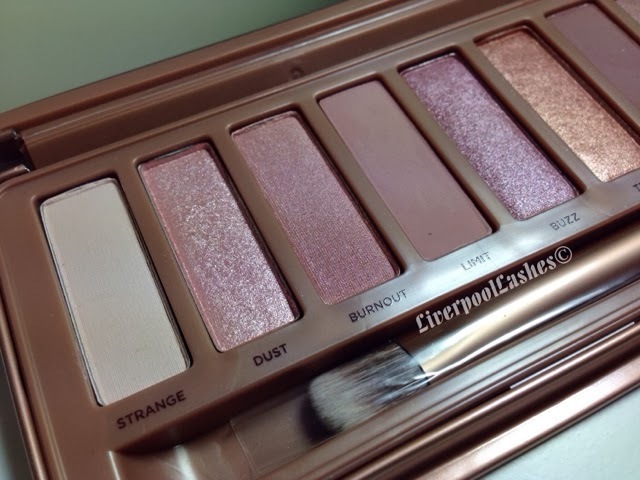 It's dusty and powdery and I feel like if you'd popped out the pan and gave me it to try I'd have argued it wasn't an Urban Decay product. 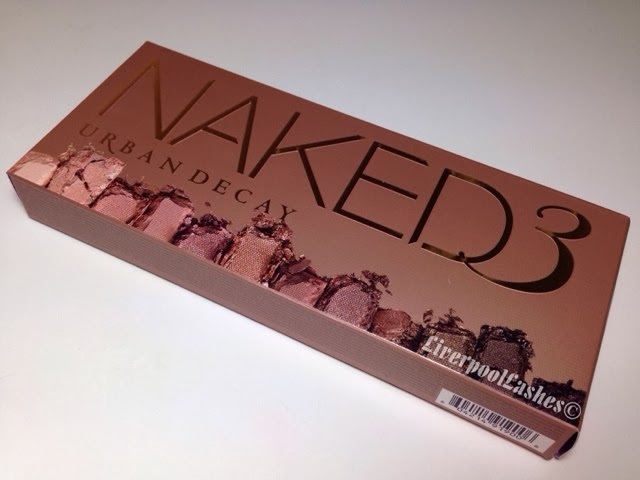 I think the quality of it is poor compared to the rest, it's usable but not to the standard I know and love from Urban Decay. Burnout is an instant favourite and Limit is a shade I will use an awful lot in the crease in a daytime shadow look. 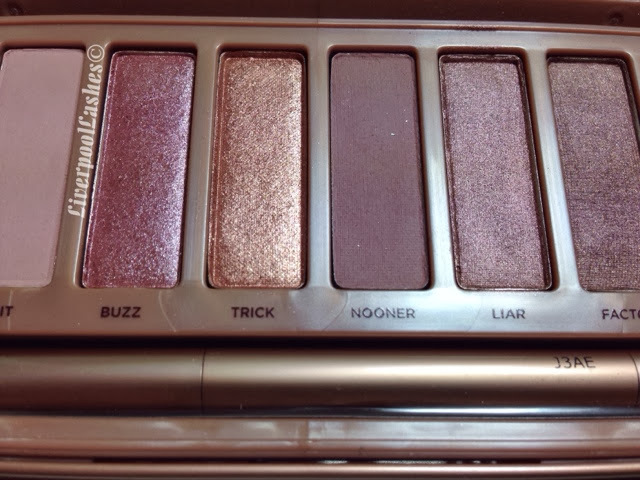 Onto the next four, Buzz is the other instant favourite which I wore within an hour of the palette arriving. Then we move onto Trick... Ahhh I feel like these names fit so well. 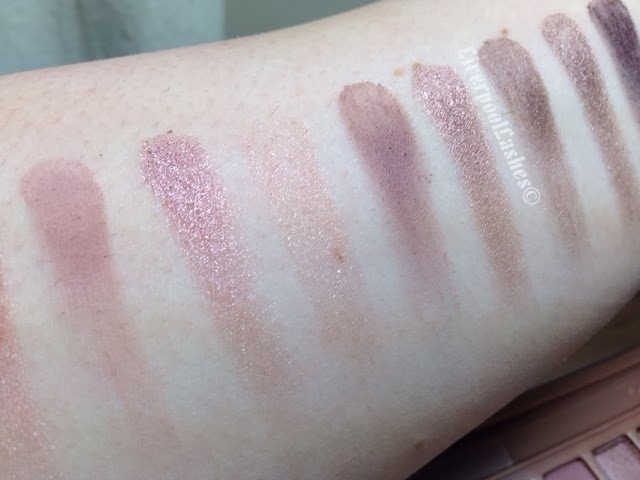 Trick looks like Half Baked to me until I swatched it and realised its a peachy tone and doesn't look much like the pan. 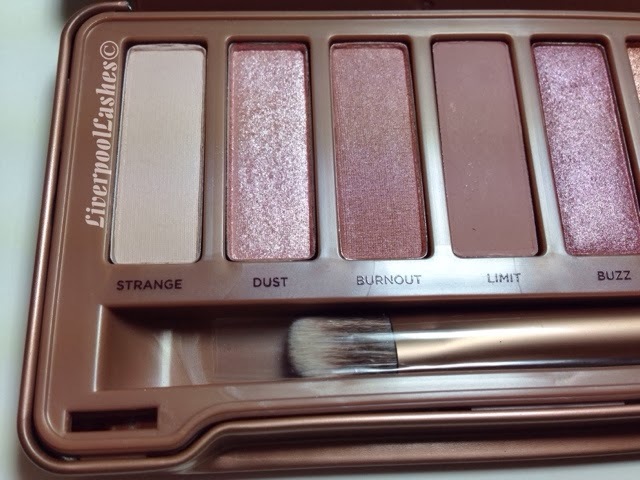 Although I'm happy it's not like the pan, I'm kind of disappointed that it's almost like the reason it's different is because the quality isn't that amazing on this one either. I hope that makes sense?! Noonar is a total winner, I will use this a lot when I'm after a more subtle look by applying to the crease and blending out. Liar is just stunning, I wore this straight away until my lower lash line. It's dribble-worthy. 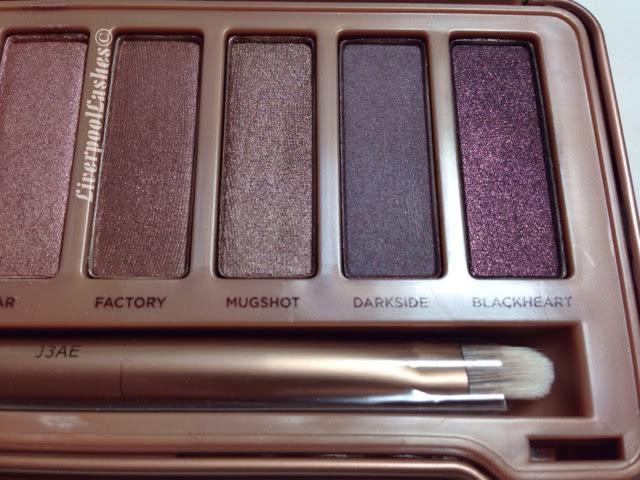 Factory and Mugshot remind me of shades in the other palettes, obviously because they're the darker ones this is pretty much where the "rose gold hue" ends. Definitely ones that will be used for those smokey eyes that I love. Darkside is something a little different and a good alternative to black. Finally we get to Blackheart which completely steals my heart. This colour is so unusual with the black with pinky red shimmers. 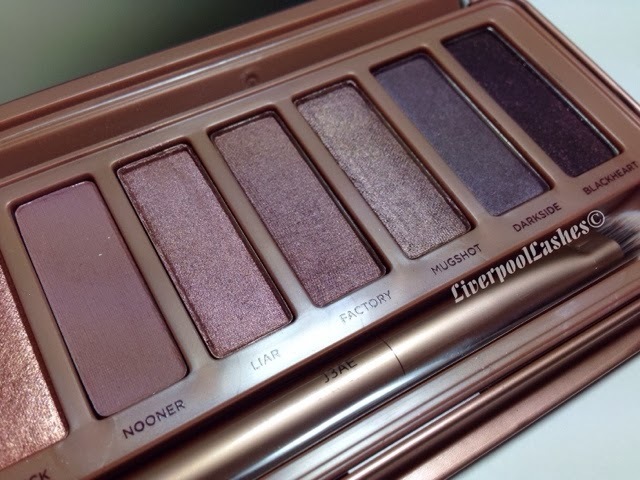 Is it wrong that I could just stare at this palette for a while?! The brush is useful but not the best for me. The larger end is somewhere between a flat shadow brush and a shader, it's usable but I will prefer my MAC 217 for sure. The smaller side is great for detail and applying shadow to my lower lash line which I do most days. Overall though I generally love the brushes in the Naked palettes but I think that the Naked 2 brush beats this, hands down. 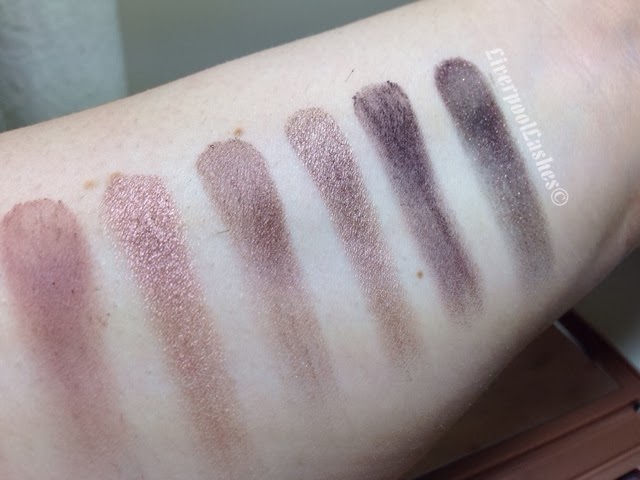 The bottom line is... Do you need this palette? Obviously not. Do you want it? If you see these colours and know you'll wear them then go for it. 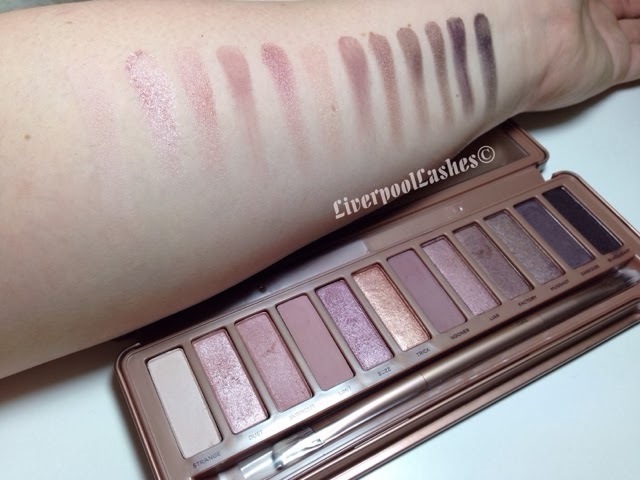 It's definitely good value for money and I go through stages with Naked 1 & 2 of either just using the one palette or mixing some of the colours up of each to create new looks, throwing the 3 into the mix is going to be a lot of fun! Today's blog post is about finding a use for something I initially thought was a waste of money. I don't know why but this pleases me greatly. 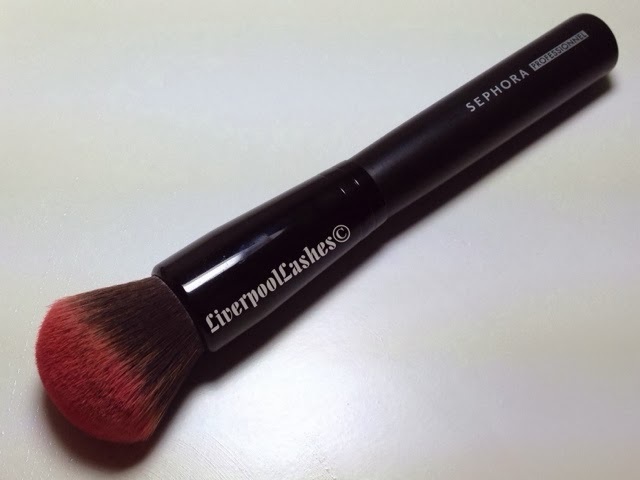 I bought the Sephora Mineral Powder Brush when I wanted a blush brush but didn't know what I was doing (and still don't when it comes to brushes.) I felt them all and they seemed nice but I went for it based the size and not really thinking about the density determining how much product it picked up. On the first use I realised that this bad boy picks up powder like no other and added a ton of blush to one side. After realising it would do the same for bronzer I tossed it aside and went back to my original methods. It was only when I decided to crack open a MAC limited edition blush which is pretty but doesn't have an awful lot of pigment that I decided to use the brush again. The combination of the not so pigmented blush and the density of the bristles means it's a great way of using up your less pigmented shades. It goes without saying that if the blush has literally no pigmentation then this is still not gonna work, you can lead a donkey to water... blah blah blah. 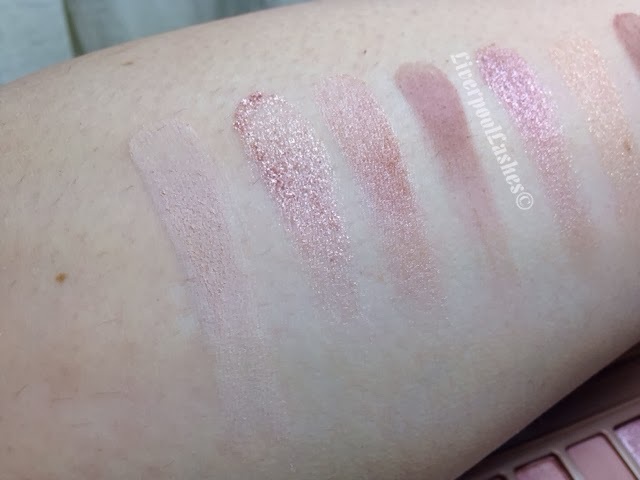 You might think "what blush wouldn't have any pigment at all?!" but believe it or not I found one of those by accident (against my wishes) that video is here. Another brush that's perfect for this is the Real Techniques Buffing Brush which is in with the Core Collection. Anyway, I wanted to make a post on this just because you may be like me and have one of these type of brushes in your collection. I really think that this is a great way you can use it as well as use your blush too.